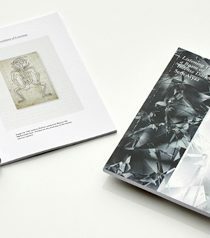 ‘Deaccessioning’ is a term and practice common to both library and art institution. It is the practice in which materials held by public collections are considered, and those deemed of ‘questionable value’ are removed and sold off to make way for new items. Communal Materials; Or, Evolution Isn’t Fast Enough is a project in problem solving which brings ideas around deaccession into play with the rise in alternative education projects and urban regeneration. Evolution Isn’t Fast Enough is speculative and comprised of three interrelated strands. Drawing from the deaccessioned, the three project strands act as probes into the types of thinking that might be produced through working not only with physical materials, but with skills, ideas and methods that are of questionable value in the current economic climate. 2. Research on ‘voice’ with community reading group which meets via telephone conference call. 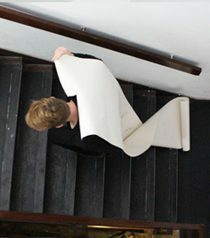 Project venues include PEER Gallery, the former Rose Lipman Library (former Hackney Archives), and the De Beauvoir Estate in Hackney, East London. In A Call from the Library the deaccessioned material was the Rose Lipman Library building; a former library and community centre recently decommissioned from it’s intended use in a regeneration area. A Call from the Library was a public field writing exercise in ‘listening to’ and ‘playing’ the library as a building, an idea, utopian project and space of knowledge production. The ‘score’ was the former public library itself. 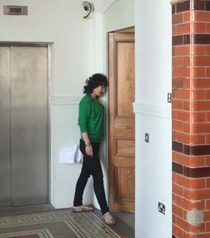 Performed throughout a former public library, A Call from the Library was a collaboration between artist Lisa Skuret and sound artist Seth Ayyaz, stemming from a week long ‘field writing’ exercise in the former Rose Lipman Library building. 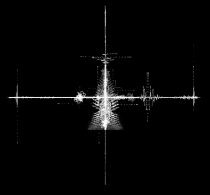 Through their different practices, they built an open system to ‘listen’ to rooms and architectural spaces, and in effect ‘play’ them sonically and textually. 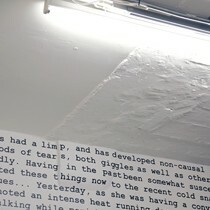 The results of their research activities in the library was a live installation or durational performance; a weekend long continuation of their field writing process in which the building began to ‘speak’. 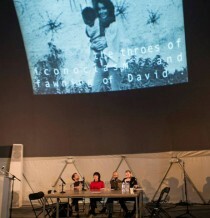 During the public field-writing weekend, Skuret and Ayyaz were joined by vocalists and sonic improvisors Guy Harries and Kay Grant. An interdisciplinary fashioning of undervalued skills into hybrid tools to collectively rethink utopian enterprises. For each Lab a Hackney resident with self-identified unvalued skills was paired with a practitioner with very different skills, and collaborating together with myself, devised a public event. 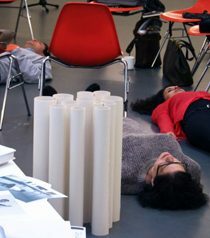 The format of the public Labs was open to take any form: a text, workshop, discussion, performance, song, diagram, or manifestation of an (im)practical object. Labs have included a participatory performance with a writer and a recorder instrument player; a workshop with a yodeller and a knitter; a coffee morning with a neuroscientist and a Turkish coffee reader; and a walk with a scent designer and a former community nurse. This collaborative event at PEER Gallery in Hoxton marked the eve of Portunalia, a neglected festival that honours the Roman god of doors, keys and livestock. 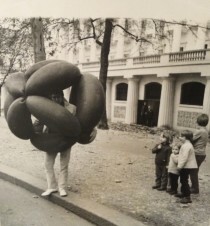 As part of De Beauvoir Labs, it was the first speculative and interdisciplinary attempt to revive undervalued skills through collective effort. Over the course of the afternoon a score and lyrics were produced, by way of painless input on the part of gallery visitors, and the song was performed at 5:30pm by all women recorder troupe, the Dolly Mixtures. 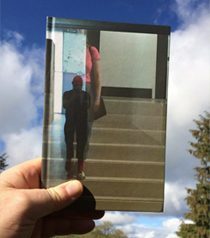 Led by artist Lisa Skuret and writer Sally O’Reilly, the score was generated through data produced via gallery visitors keys, a variety of domestic kitchen scales, the textual affects of rooms, and misplaced personal effects. 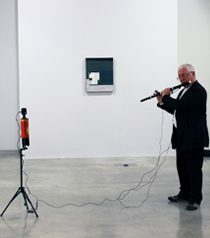 After the event, a music stand and a recorder were installed in the gallery at PEER as part of the current exhibition. 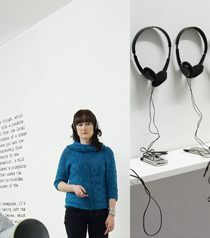 Visitors to the gallery were welcome to throw their ‘keys to the wind’ in offering by playing the communal score. The third strand of the project is ongoing research on ‘voice’ with a community reading group which meets via telephone conference call.